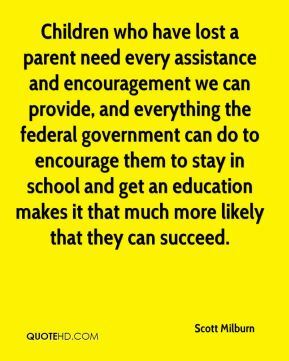 Children who have lost a parent need every assistance and encouragement we can provide, and everything the federal government can do to encourage them to stay in school and get an education makes it that much more likely that they can succeed. 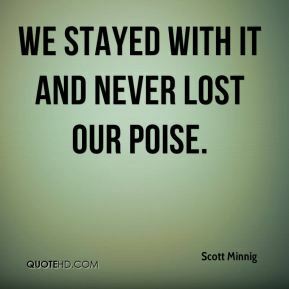 We stayed with it and never lost our poise. 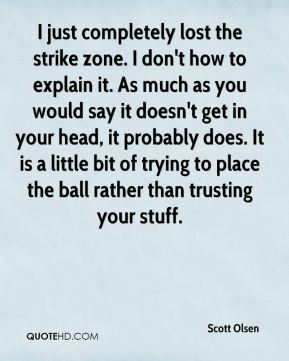 I just completely lost the strike zone. 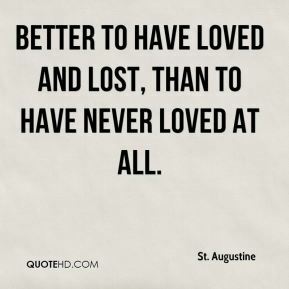 I don't know how to explain it. I don't know what happened. 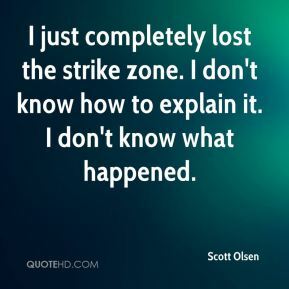 I just completely lost the strike zone. I don't how to explain it. 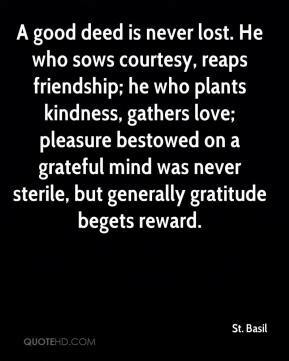 As much as you would say it doesn't get in your head, it probably does. 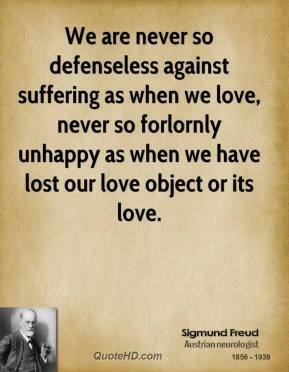 It is a little bit of trying to place the ball rather than trusting your stuff. 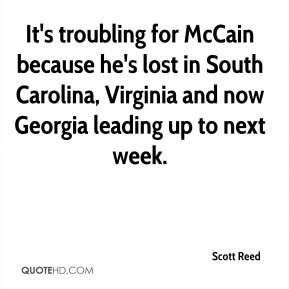 It's troubling for McCain because he's lost in South Carolina, Virginia and now Georgia leading up to next week. We lost as a team. 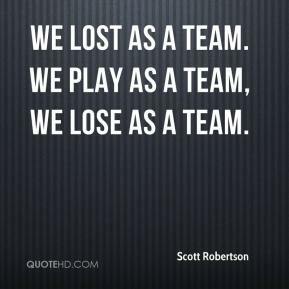 We play as a team, we lose as a team. I was on a game show. 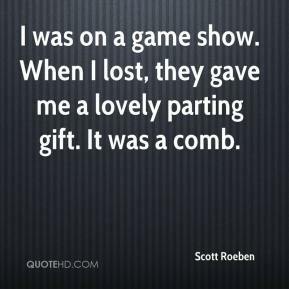 When I lost, they gave me a lovely parting gift. It was a comb. They had entered it the last three or four seasons and had made it to the title game, but lost. 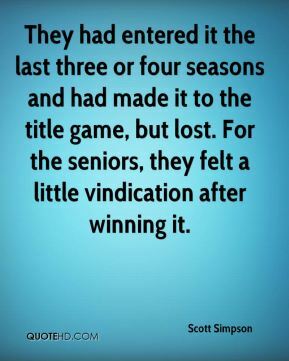 For the seniors, they felt a little vindication after winning it. 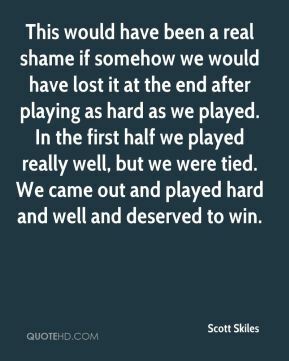 This would have been a real shame if somehow we would have lost it at the end after playing as hard as we played. In the first half we played really well, but we were tied. We came out and played hard and well and deserved to win. It was an important game and we lost. 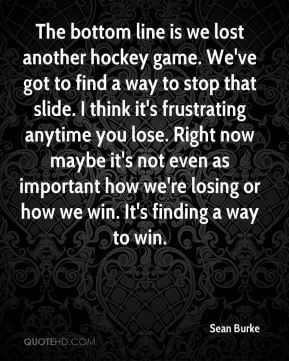 We worked hard, but there were a couple of bounces on a few shots that I wouldn't say were strong goals -- they were weak goals -- but we can't let that get us down. 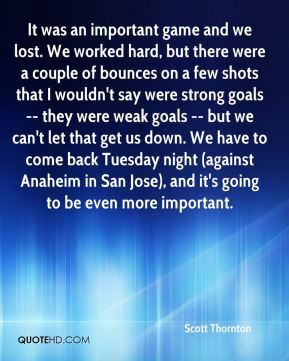 We have to come back Tuesday night (against Anaheim in San Jose), and it's going to be even more important. 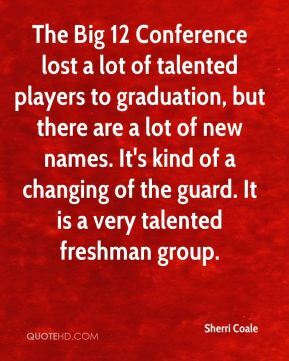 The Big 12 Conference lost a lot of talented players to graduation, but there are a lot of new names. It's kind of a changing of the guard. It is a very talented freshman group. I think I've lost my kids. 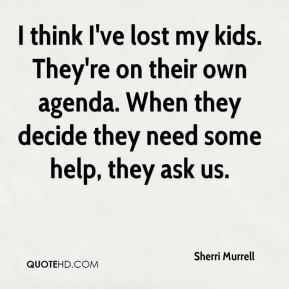 They're on their own agenda. When they decide they need some help, they ask us. 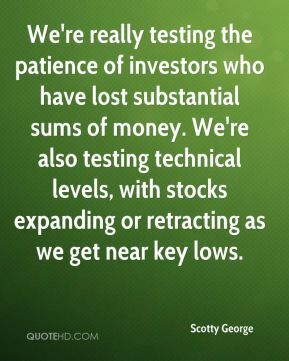 We're really testing the patience of investors who have lost substantial sums of money. We're also testing technical levels, with stocks expanding or retracting as we get near key lows. I thought we had lost the game, ... 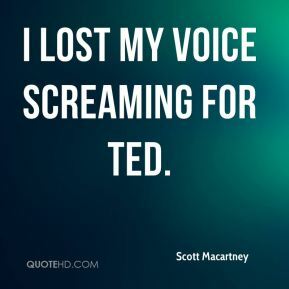 They were running out the clock with just over one minute remaining and I had my headsets off. 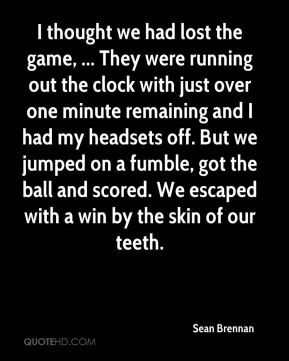 But we jumped on a fumble, got the ball and scored. We escaped with a win by the skin of our teeth. 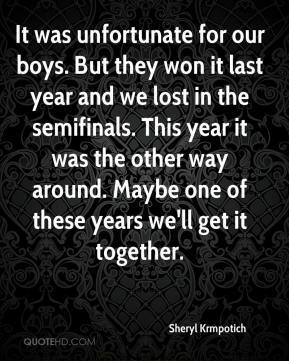 It was unfortunate for our boys. But they won it last year and we lost in the semifinals. This year it was the other way around. Maybe one of these years we'll get it together. 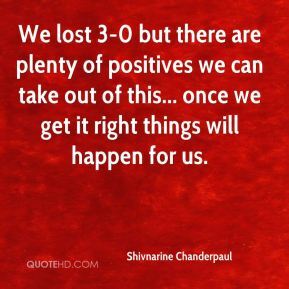 We lost 3-0 but there are plenty of positives we can take out of this... once we get it right things will happen for us. 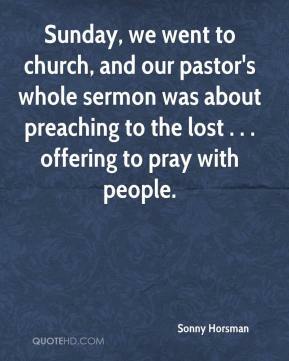 Sunday, we went to church, and our pastor's whole sermon was about preaching to the lost . . . offering to pray with people. 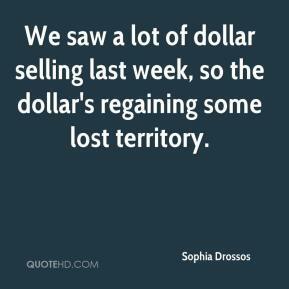 We saw a lot of dollar selling last week, so the dollar's regaining some lost territory. I saw positive things even though we lost the game. 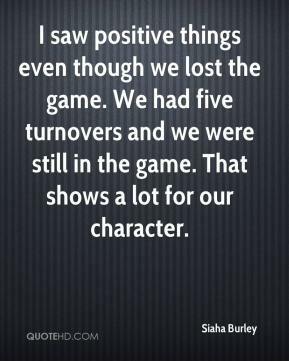 We had five turnovers and we were still in the game. 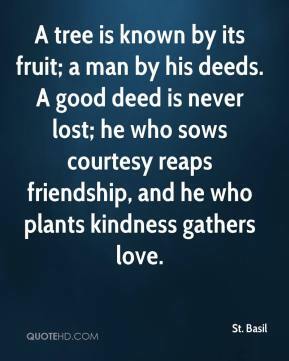 That shows a lot for our character.